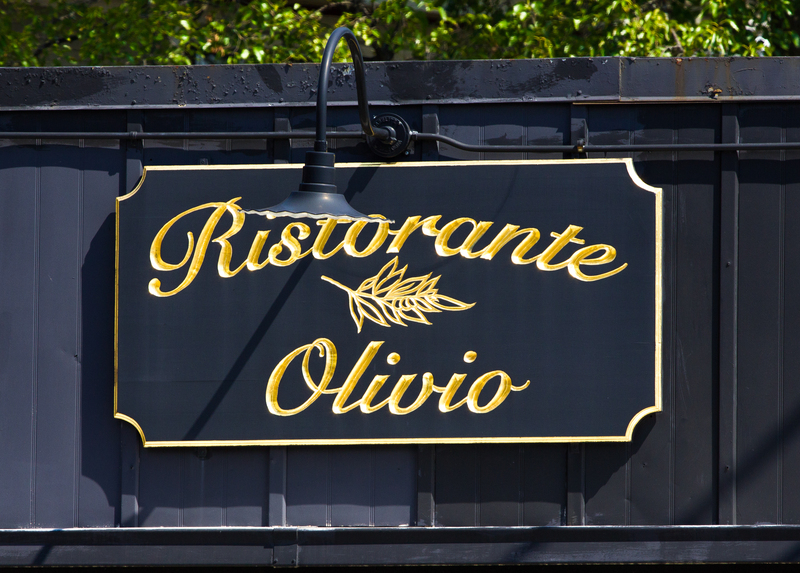 The gilded sign of Ristorante Olivio on Massachusetts Avenue in Capitol Square. 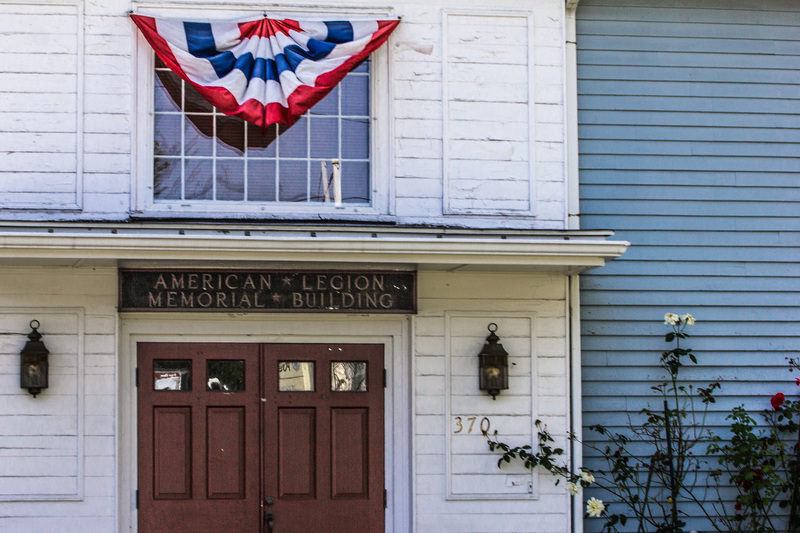 The bunting-draped entrance to the American Legion building on Massachusetts Avenue. 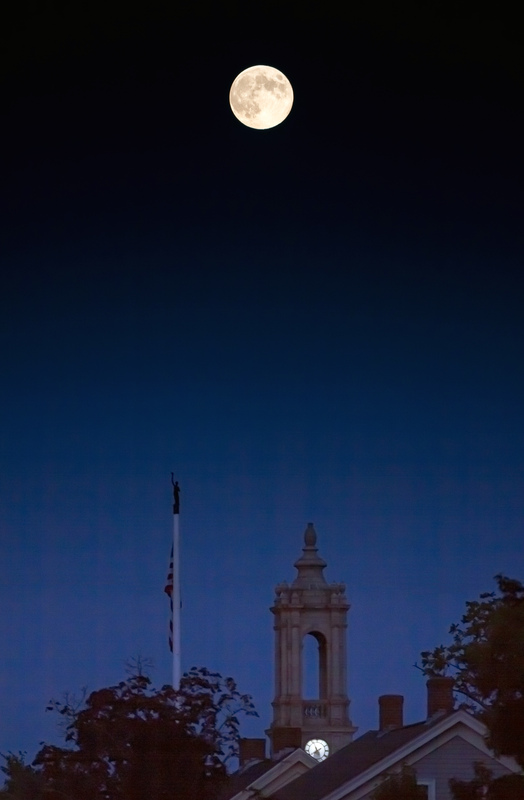 A blue moon rises over Arlington Town Hall. 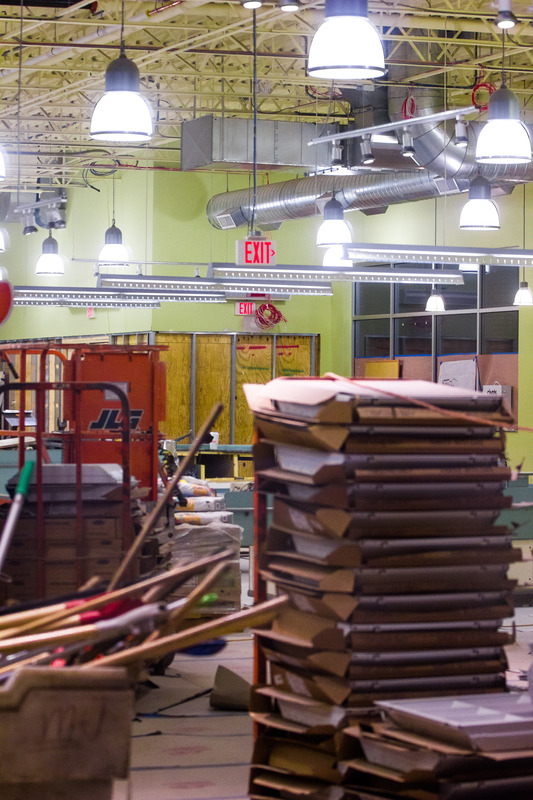 The former Johnnie’s Foodmaster in the process of being converted to a Whole Foods market. 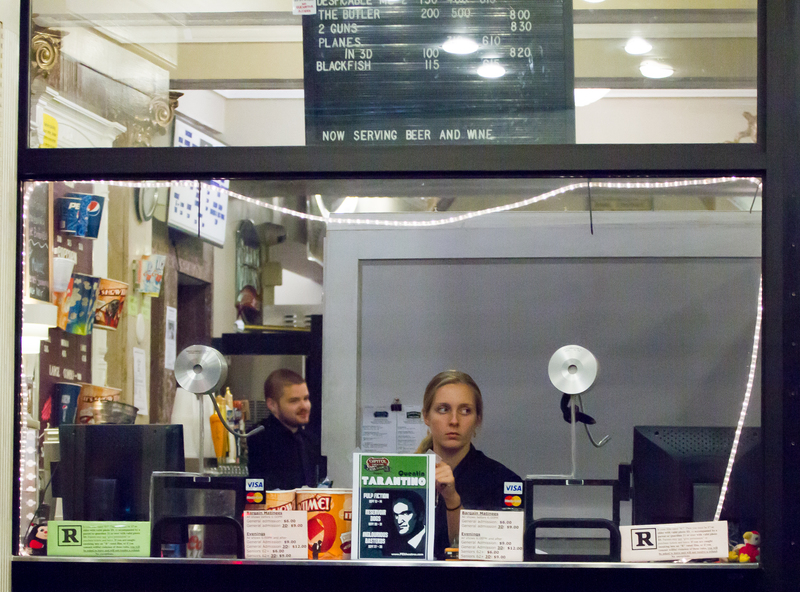 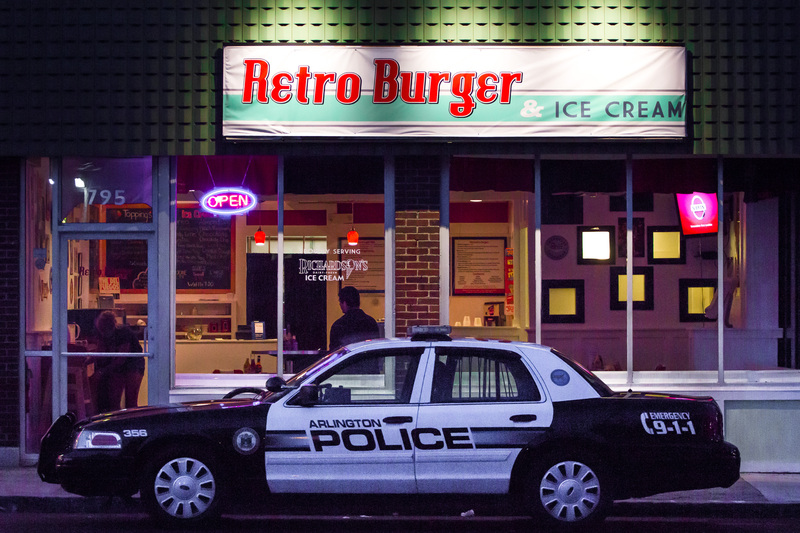 Retro Burger, an Arlingtonian-owned restaurant that has moved its permanent home from Cape Cod to Massachusetts Avenue, just after closing.